I longed for a revival of a golden age when Muslims were mighty and triumphant, ruling large parts of the world, fighting victoriously in the name of God. I gloried in this past. Reviving medievalism, these fantasies were a way to escape modern life. I dreamed of a past and future glory, like many in their dogmatic slumber. I was entrapped in the golden cage of Islamism. I was a bird of paradise that did not want to escape. There is an increased fear, and rightly so, about the free expression of extremist ideas and opinions that are polluting our social, cultural, economic and political orders in the Arab world, which is why Jamal Khashoggi stands as an enemy to free thinkers. "There can be no political reform and democracy in any Arab country without accepting that political Islam is a part of it," he wrote. Saudi Arabia's Prince Mohammad Bin Salman is in the throes of a war to achieve modernity. We want our independence from religious extremism, the ills of our society; and "MBS," as he is called, is leading the reform in order to fight it and move his country away from its temptations. He needs to go ahead with his reform and do his good works. Because Khashoggi wanted an uprising against the Saudi royal family, the Prince was facing the fears and possibly the threats of being assassinated by those opposing his reforms. The assassination of Khashoggi was a horrible mistake. There is a way of curbing religious extremists without violence. We must address the political aspects in the Quran that are at times interpreted with hate, instead of our always turning a blind eye to these verses. This study alone would stop religious extremists from having the means of justifying their crimes. This article is not for the faint-hearted. I do not share a single sentiment with a single religious extremist, Jamal Khashoggi included. My heart is closed to them. As a Muslim woman, my anger against them became especially determined when three of my relatives in Yemen, young brave, men, had left their homes and families to protect them. They joined the Saudi-backed Yemeni military to fight against Iranian imperialism, to fight for Yemeni independence, to fight for love and freedom. One was killed by a bullet; the other two on sand dunes when they stepped on landmines. Their bodies were so dismembered by explosions that it was difficult to identify them. Their families had to flee their homes; one woman, also terrified of stepping on a landmine, carrying a newborn baby in her arms. This episode was all the more affecting as the youngest of the three men, Abdullah, wanted to marry me. Therefore, when a religious extremist such as Khashoggi is lost on the front line, my thought to him is: You got what you deserved. 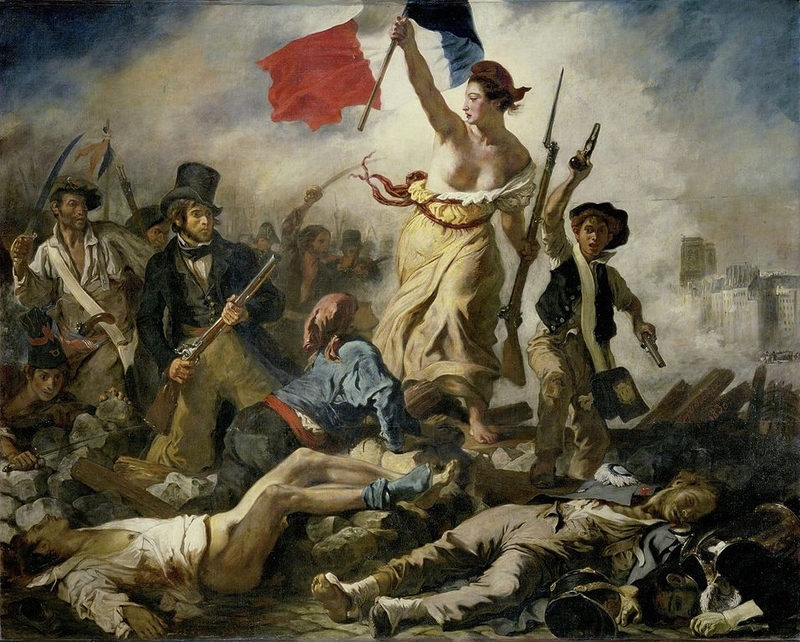 When the night is quiet, in my mind, I see the symbol of France, "Marianne", as she is known, in Delacroix's painting, Liberty Leading the People, raising a blue, white and red flag and standing on the corpses of fallen enemies. She encourages me to hope. But how does one go from darkness to hope? In the painting, Liberty, looking back over her shoulder reminds me of my past, a past I so tried to suppress. I find this hard to admit, but I had a radical moment, my time of Islamism. I longed for a revival of a golden age when Muslims were mighty and triumphant, ruling large parts of the world, fighting victoriously in the name of God. I gloried in this past. Reviving medievalism, these fantasies were a way to escape modern life. I dreamed of a past and future glory, like many in their dogmatic slumber. It never seemed like darkness; it seemed like a pearl of light. I was entrapped in the golden cage of Islamism. I was a bird of paradise that did not want to escape. Then it dawned on me: the way to hope is change and reform. Islam is the only religion which has not gone through reform. I am not afraid of speaking the truth, but religious extremists, especially, despise women who use their voices against them. There is an increased fear, and rightly so, about the free expression of extreme religious ideas and opinions that are polluting our social, cultural, economic and political orders in the Arab world, which is why Jamal Khashoggi stands as an enemy to free thinkers -- Muslims and states that turned against politics disguised as religion. "There can be no political reform and democracy in any Arab country without accepting that political Islam is a part of it," Khashoggi wrote. Religious liberals make up the minority in Arab countries. An alarming 84-86% of Muslims in Egypt and Jordan support the death penalty for Muslims who leave the religion, and 82-70% support stoning for adultery. Jordan and Egypt also happen to have a significant percentage of Muslim Brotherhood adherents in seats of power in parliament. Many of these extremists are gaining momentum, destabilizing the region through proxy wars. Saudi Arabia's Crown Prince Mohammad Bin Salman is currently in the throes of a war to achieve modernity. We want our independence from religious extremism, from the ills of our society; and "MBS," as he is called, is leading a reform in order to fight it and move his country away from its temptations. Khashoggi's assassination was not an attack on Western values. I can understand how Americans feel about an American resident who wrote for a major American newspaper and was murdered for expressing his opinions. Yet he did not seek to put the truth above his self-interest and agenda. His first loyalty was not to American citizens, but as critics have said, to spreading the ideas of his Muslim Brotherhood. I do not endorse the assassination, although my fears and anger had pushed me for a time into feeling so, but such is not the way to making a worthwhile life. It is urgent, however, to stop extremists from silencing the free expression of ideas that they suspect might slow down or prevent radicalization. Many of their ideas lead to fundamentalism, anti-Semitism, violence and terrorism. We need to block their attempts to intimidate us when they call us names designed to stop us from honestly analyzing the ideology behind their soft and hard religious aggression. Standing up to their threats would send a strong warning to the Islamists to stay out of our governments. The assassination of Khashoggi was a horrible mistake. There is a way of curbing religious extremists without violence. We must address the political aspects in the Quran that are at times interpreted with hate, instead of us always turning a blind eye to these verses. 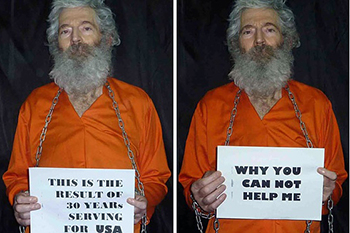 That study alone would stop Islamists from having the means of justifying their crimes. I still believe in Prince Mohammad Bin Salman, although he needs to save himself from himself before leading Muslims to do the same. He needs to go ahead with his reform and do his good works. I do believe in his core willingness to change our fears into hope, but not until he begins to face his own fears in the process. Because Khashoggi wanted an uprising against the Saudi royal family, the Prince was facing the fears and possibly the threats of being assassinated by those opposing his reforms. To make the assumption that his call for an assassination was based on the stereotype of a reckless and barbaric Arab is racist. Nonetheless, the American stance of opposing the assassination is applaudable, but would be counterproductive for the future of the Middle East if it were allowed to damage US-Saudi relations. Essentially, we are friends and allies. It is my deepest hope that politicians begin to mend US-Saudi relations as soon as possible. Saudi Arabia stands at the forefront of protecting the Middle East from the aggression coming from the mullahs in Iran; for this, as a neighbor living in the smaller Gulf next door, I and others would be immensely grateful. As the religious horizon unfolds, be aware that religious extremists know how to exploit democracy. Note how they rose swiftly in Egypt and Turkey and led a massive public demonstration to topple an elected Christian mayor in Indonesia. Many want expansion and supremacy. Many also want death to America, death to Israel, and death to Jews, Christians and Muslims. I dream that we Muslims break free from the entrapments of the controlling forms of religion. At times, it feels like a disease that has been tolerated for too long. It has caused us so much pain and isolation: be gone. There is only one way to defeat it: push for a victory with Prince Mohammad bin Salman as he takes on Iran, Turkey, Qatar and the Muslim Brotherhood. His historic role is to fight the most violent and reactionary interpretation of this religion, its individuals and organizations, and to lead reform and deradicalize societies. Extremism has no place in our world. Change will come. The souls of my loved ones will not go in vain. Who will pierce our dragon? Alia Al Ganis is based in the Middle East.